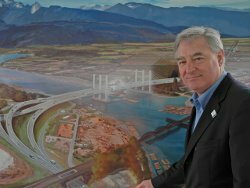 "at stake in this venture are over 1000 jobs") it is certainly helpful to see a continued interest in this area from Federal politicians. Of course, RCM isn't the totality of the Federal government space program. 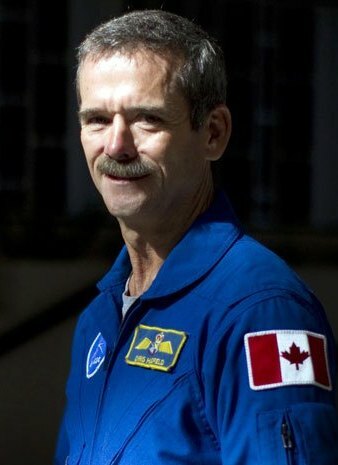 Canadian Space Agency (CSA) astronaut Chris Hadfield is also waiting patiently for a ride aboard the upcoming Expedition 34/35 long duration mission to the International Space Station (ISS). The current schedule is for Hadfield to launch December 19th, 2012 from Kazakhstan to carry out scientific experiments, operate the Canadarm2, perform other robotics tasks as required and oversee operations as the first Canadian ISS commander beginning in March 2013. But some launch windows take longer than others. Four Canadian satellites (the Department of National Defence Surveillance of Space (Sapphire) satellite, the Near-Earth Object Surveillance Satellite (NEOSSat) and the CanX-3a and CanX-3b micro-satellites), bundled together as secondary payloads with the joint Indo-French developed Satellite with ARgos and ALtiKa (SARAL), are currently scheduled for launch from the Satish Dhawan Space Centre aboard an Indian Polar Satellite Launch Vehicle (PSLV) on January 12th, 2013. As outlined in the September 16th, 2012 Commercial Space blog post "Sapphire, NEOSSat, CanX 3A & 3B Standing By... " the currently anticipated launch date is four full years behind schedule. 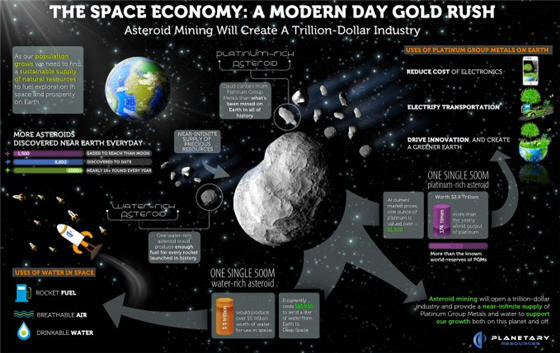 Meanwhile, back in the private sector, there seems to be a great deal of money to be made in the space industry, especially if you're able to sell into the US. 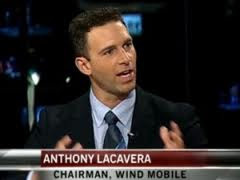 For example, according to the November 26th, 2012 4-Traders website article "COMDEV wins follow-on contract for U.S. Government Satellite Program," Cambridge based COMDEV International has been "has been awarded a follow-on contract to deliver active and passive microwave equipment in support of a major U.S. Government procurement" with a full contract value of up to $19M CDN. Richmond based MacDonald Dettwiler (MDA) might also have received an early holiday gift. As outlined in the November 20th article "ABS Gets Loans to Build Three Sats: MDA, SpaceX, Boeing Set to Benefit," on the NewSpace Watch website, Asia Broadcast Satellite Ltd. has just received a $461M USD loan from the US Import/ Export Bank to build three communications satellites. One loan, for $171M USD's will cover the completion of the ABS-2 communications satellite, currently being built by SS/Loral, which was recently purchased by MDA. Aerospace Review to be Released November 29th. 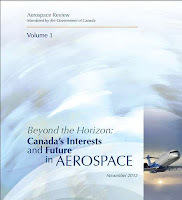 According to the November 15th, 2012 SpaceRef.ca article "Aerospace Review Report to be Released November 29," the David Emerson led Aerospace Review panel has fulfilled its mandate "to produce concrete, fiscally-neutral recommendations on how federal policies and programs can help maximize the competitiveness of Canada's aerospace and space sectors" and will be presenting those recommendations to the Federal Industry Minister next Wednesday. This will be followed up be the public release of the recommendations at a press conference being held at the Canadian Aviation and Space Museum in Ottawa, Ontario on Thursday, November 29th. What does this mean for the Canadian space industry? As outlined in my June 26th, 2009 blog post "UK joins Canada and the US in "Not Knowing Quite What To Do" with their Space Program," it could mean nothing or it could mean everything. After all, politicians and government institutions form commissions when they don't know what to do or don't really want to do anything but need to create a perception of activity. Now that the report is finished, the Federal government still has the option of either partially (or totally) accepting (or rejecting) the findings, an activity which can itself be stretched out into quite a large number of perceived and distinct decisions (which is really helpful for governments when they have trouble deciding things but need to convince the public otherwise). So it's fortunate that the players in the Canadian space industry aren't going to wait until the Federal government digests the Emerson report. Most already have strong ideas on how to maximize competitiveness and encourage innovation, at least at the corporate level and are currently testing out those ideas on a day to day basis. 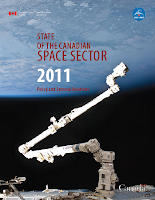 But back in 2009, the US, UK and Canadian governments were each involved with ongoing reviews of their national space capabilities and those reviews were each perceived of as being critically important. And maybe they were. Since the Brits released their public report in 2010 (the UK Space Innovation and Growth Strategy), they seem to have figured out what's going on and are moving forward with a "swagger in their step," according to the November 9th, 2012 BBC News article "Space ticks the boxes for UK plc." The US NewSpace industry is also leaping from success to success for a fraction of the cost of their traditional competition since the public release of the US government report titled the "Review of Human SpaceFlight Plans Committee Report," in October 2009. Space entrepreneur Elon Musk, fresh from his first low cost Dragon missions to the International Space Station, is even making public comments about privately funded manned trips to Mars and long-term Martian colonization efforts, at least according to the November 23rd, 2012 Space.com article "Huge Mars Colony Eyed by SpaceX Founder Elon Musk." As for the Canadian government, we seem to be a little slow on the uptake so far. It will be interesting to see if the public release of the Emerson report on November 29th ends up changing this. Anyone looking for insight into Canadian Space Agency (CSA) activities will find much useful information contained within the monthly "Earth Observation Express" newsletter. As outlined on the website, the newsletter "informs and raises the awareness of managers, scientists and students regarding Canadian activities in the field of Earth observation (EO) from space." Using RADARSAT-2 images to ensure that in-situ bitumen extraction in the Alberta oil sands is done safely. 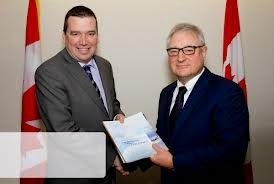 The release of a new government report on “Advanced SAR Applications for Canada’s Cryosphere: Freshwater ice, and Permafrost." A project examining the usefulness and value of using Earth images in monitoring and managing microbial risks associated with recreational waters. How CSA and NASA cooperate to monitor the impacts of Hurricane Leslie on Newfoundland and Labrador. For those looking for practical applications for Earth imaging satellites, this publicly available, monthly newsletter is a must read. May it continue along on it's merry way. According to BC based Foundation Search, there are over 112,000 registered public and private foundations in the United States with almost a trillion dollars under management and they're required to give away 5% of those assets each year in order to retain their tax exempt status. 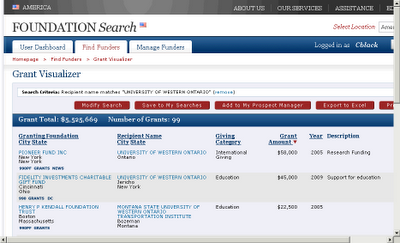 Foundation grants related to "Aerospace Education." Images c/o Foundation Search. 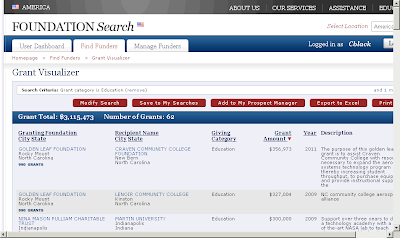 A quick search of publicly available tax data from US based foundation grants over the past ten years which include the keywords "aerospace education" in the grant description indicate that $3M USD's (divided up among 62 grants) has been provided to various organizations by US based foundations interested in encouraging "aerospace education." It seems that rocket scientists, at least those with students and interested in "aerospace education" are able to access these funds. 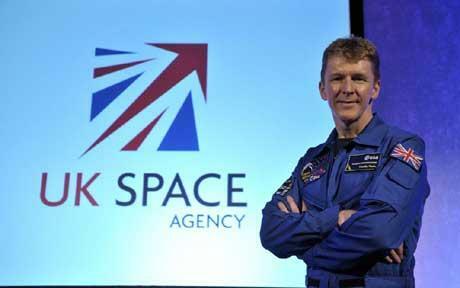 The National Aeronautics and Space Administration (NASA) has also accessed foundation funding. 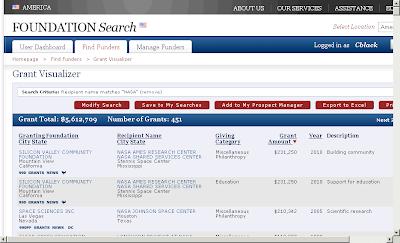 NASA foundation funding. Images c/o Foundation Search. 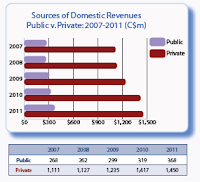 Publicly available tax data indicates that at least $5.6M USD's (divided up among 450 grants) has been provided to either NASA or various NASA subsidiaries over the past ten years by US based foundations. 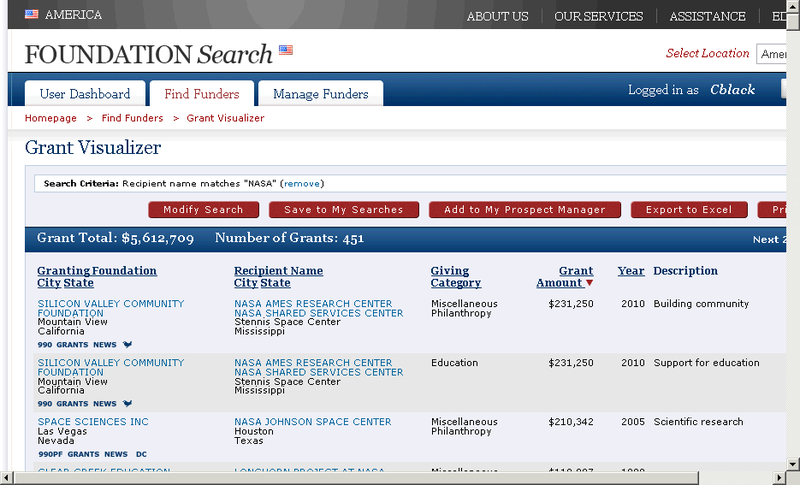 While this doesn't seem like a lot for an organization with a $17B USD annual budget like NASA, it's worth noting that the search covered only foundation grants which included the term "NASA" in the grant title. The true total funding from foundations providing money to NASA (but not using the term "NASA" in the grant title) is likely to be much higher. The Silicon Valley Community Foundation has provided grants through out the world.. 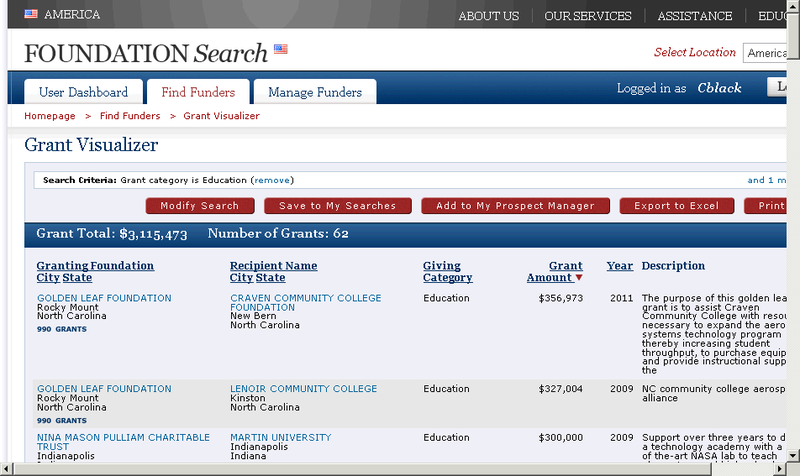 Images c/o Foundation Search. Best of all for Canadians, the Silicon Valley Community Foundation (which provided the two largest NASA grants to "build community" and "support education") also provided funding throughout the world during that same period. The foundation provided 52 grants totaling $2.29M to US based organizations and a further 21 grants totaling $433M CDN over the same period. Canadian universities are already taking advantage of this funding channel. 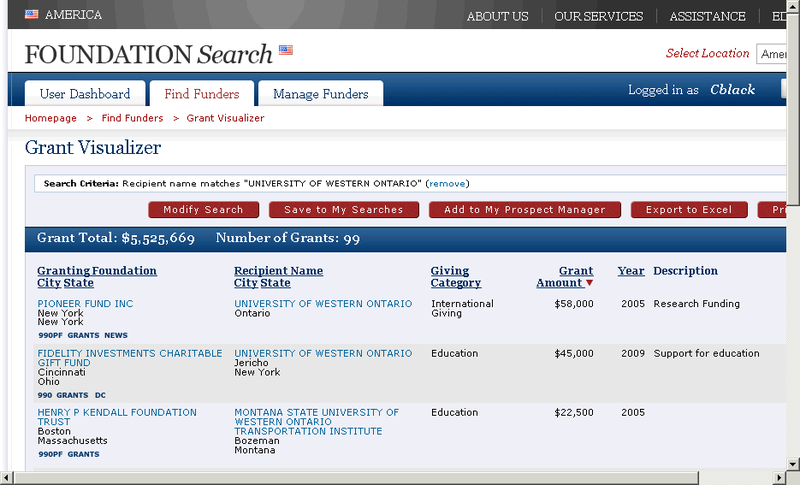 University of Western Ontario grants from US foundations over a ten year period. Images c/o Foundation Search. For example, the University of Western Ontario (Western) has received over $5M CDN in funding (spread among 99 grants) during the same period in which NASA received only slightly more. As well, Western (and other Canadian universities) have undoubtedly received far more money from Canadian foundations and donors than from US foundations and donors. In essence, while the overall funding amounts are small when compared to the total budgets of the space agencies, the prospect of foundation funding is something that should not be dismissed when figuring out how to fund "rocket" science. Money is money, no matter where it comes from. As outlined in this November 7th, 2012 press release from the Canadian Air and Space Museum (CASM), the not-for-profit (and often under estimated) repository of Canadian aerospace history has just launched a "$500,000 fundraising campaign" to help defray the costs of moving museum displays "to the the south end of Lester B. Pearson International Airport" where the facility is expected to be relocated over the next few months. A key component of the fundraising campaign is the web site Indiegogo.com, which will be used by CASM for a crowd-sourced appeal for funds under the headline "the NEW Canadian Air and Space Museum." Of course, crowd sourcing is no stranger to space focused organizations or museums. Crowd-sourcing campaigns for space focused start-up Uwingo (which recently raised $80,000 USD's to help fund space exploration, research and education) and the "Goddamn!" Telsa Museum (which managed to raise $1.3 million USD's) have demonstrated that raising large amounts of money in short periods of time for a good cause is quite possible, if only you use the proper tools. A 'new' Canadian Air & Space Museum has the potential to realize a world-class facility dedicated to the achievements of our pioneers and to inspire a new generation of air and space innovators and entrepreneurs. 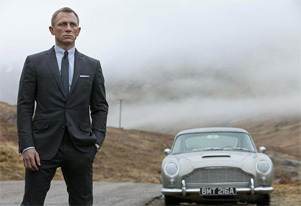 The museum has other campaigns in progress as well, including a promotional video from actor Harrison Ford, a website fundraising challenge and a secondary campaign targeting large, charitable "gift givers" and not-for-profit foundations. A full-size replica of the Avro CF-105 Arrow supersonic interceptor which first flew at Toronto's Malton Airport in 1958. The rare Avro Lancaster Mk. 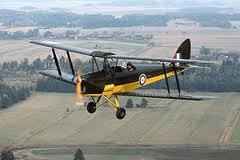 X bomber "FM104", one of 430 built by the 10,000 employees of Victory Aircraft Limited at Malton during the Second World War. The original shop equipment used by Canadian Aeroplanes Limited in Toronto to build 1,200 Curtiss JN-4 'Canuck' biplanes between 1916 and 1918. Displays related to the Allouette 1 satellite and the Canadarm, plus actual examples of the Zenair CH-200 Zenith, the Canadair CT-114 Tutor, the de Havilland CS2F Tracker, the de Havilland D.H.82C Tiger Moth, the Canadair CT-133 Silver Star, the Beechcraft CT-134 Musketeer, the Bell CH-136 Kiowa, the de Havilland D.H.87B Hornet Moth, the Easy Riser Ultralight, the Fleet 80 Canuck, and even the worlds first piloted Ornithopter along with various other trainers and light aircraft, piston engines, Toronto-made jet engines and several rare flight training simulators used to train military and airline pilots in the 1940s and 1950s. ... the road ahead is long, and our immediate concern is focused on the safety and preservation of the existing collection. We are appealing to all Canadians to contribute towards this very worthwhile cause and help keep the legacy of Canadian history alive. As outlined in the September 11th, 2011 blog post "Canadian Aerospace Heritage or Hockey Rink," the museum was evicted from its original home, the historic de Havilland Aircraft of Canada manufacturing facility in Downsview, Ontario (along with all the other building tenants) in September 2011. Since March 2012, most of the museum displays and artifacts have been stored in forty-four semi trailer freight containers at Pearson Airport, waiting patiently for access to their new home. 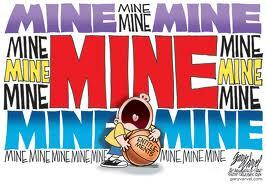 The Federal government has finally gotten around to letting slip the obvious. The November 5th, 2012 Space News article "Canadian Radarsat Constellation Mission Delayed, Cost Rises by $400M" and the November 9th, 2012 Postmedia News article "Feds admit surveillance satellite project delayed two years" are both reporting that the estimated launch dates for the RADARSAT Constellation (RCM) series of the three Earth imaging satellites have been pushed back at least two years and that the overall costs for the program have risen dramatically. 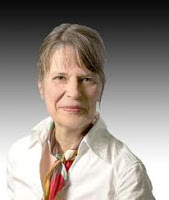 According to the Postmedia article, an Industry Canada response to a question posed in the House of Commons last week by NDP MP Hélène LeBlanc, stated that the “launch of the first (RCM) satellite is planned to occur in fiscal year 2016-2017, followed a year later by the other two satellites.” The Industry Canada document blames “unexpected difficulties during the critical design phase” for the delay. But those "unexpected difficulties" were mostly about money. In March 2012, RCM prime contractor MacDonald Dettwiler (MDA) went so far as to issue a public press release (the March 30th, 2012 release titled "RADARSAT Constellation Mission update") which stated that the company "has concluded that the budget does not include the funds required to continue the RADARSAT Constellation Mission (RCM) as currently envisioned." As outlined in various posts on this blog (most recently, the October 6th, 2012 post on "The Last Days of the Current CSA President"), things have gone downhill ever since. 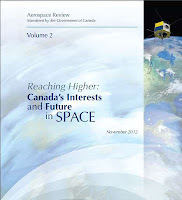 But as recently as last month, the Federal government was insisting, in spite of all the evidence to the contrary (such as the October 5th, 2012 CBC News report below), that the first of the three RCM satellites would be launched in 2014. 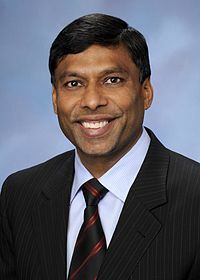 Entrepreneur, philanthropist and Moon Express co-founder Naveen Jain thinks that only generalists and entrepreneurs will ever be able to stop whining and boldly go forward into space to begin collecting the new knowledge and skills necessary to start solving our pressing Earthbound problems. And some of his best comments; along with others from Will Pomerantz, the VP of special projects for Virgin Galactic; and Fiona Harrison, a professor of physics and astronomy at the California Institute of Technology; are available online at FORA.tv as part of its coverage of the recent Atlantic Magazine Big Science Summit. Even better, the Atlantic has condensed the essence of their hour long discussion into the optimistic and easily digestible October 30th, 2012 article on how "the Space Race Is On: Both NASA and private enterprise look to the stars for new areas of exploration." The Space Race -- both in terms of manned travel and remote sensing expeditions -- is as competitive now as during the days of Sputnik. Some new astronauts never leave the ground, but their remote probes travel hundreds of thousands of miles, sending back hi-res images and collecting terabytes of data. Jain, with his wealth and international connections (including his Moon Express partnership with Bob Richards, the founding director of the space division of Vaughn, Ontario based Optec Incorporated) is an obvious person to track in the emerging newspace industry. The American "mass" media seems to be in the midst of finally getting the hang of this. Kudos to the Atlantic. A Compact Canadian MRI for Everyone. Even Astronauts! 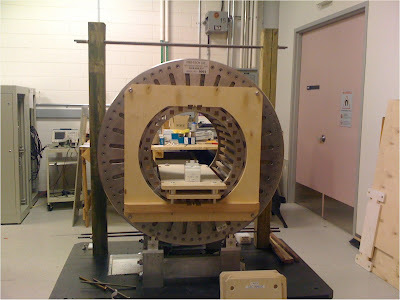 Using two novel Canadian technologies, a team of Canadian researchers plan to develop a compact magnetic resonance imager (MRI) which is much cheaper and lighter than conventional MRIs. 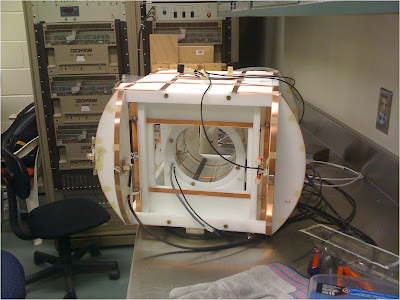 This new MRI will have a plethora of applications, both on Earth and in space. Full size compact MRI mockup. Images c/o Gordon Sarty, University of Saskatchewan. A full-size mock up of the new MRI was showcased in September at the annual conference of the American Institute of Aeronautics and Astronautics (AIAA) but the technology has also been featured in a number of recent publications including TechNewsDaily and DVICE. A few weeks ago, Gordon Sarty, Professor and Acting Chair of Biomedical Engineering at the University of Saskatchewan, presented his team’s compact MRI technology at the 63rd Annual International Astronautical Congress (IAC), in Naples, Italy. Sarty’s presentation highlighted the needs addressed by this compact MRI, as well as its weight and cost benefits, the novel technologies utilized plus various Earth and space applications. Preliminary concept of the whole body MRI as it would appear inside an ISPR. Image c/o Andrew Bell, COM DEV Canada. The Needs: In spaceflight, there is currently very limited amount of on-orbit physiological data available. 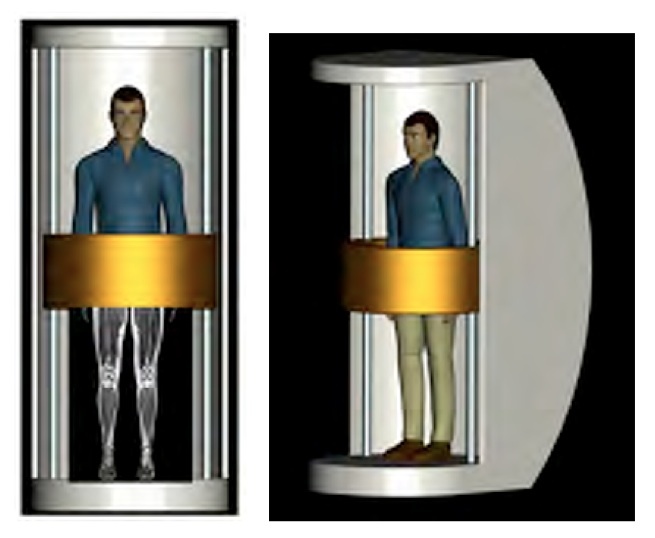 Thus, a compact MRI suitable for the International Space Station (ISS) would be valuable in improving human health in space, as for example by enabling detailed studies of bone and muscles as well as the effects of space radiation. And on Earth, traditional MRIs are expensive and scarce resource, giving rise for a need for a smaller and cheaper solution. The compact MRI proposed by Sarty and his team addresses all these needs in a portable, robust and maintenance-free form-factor. The Weight and Cost Benefits: The compact MRI would come in two models: whole body sized, and extremity sized. 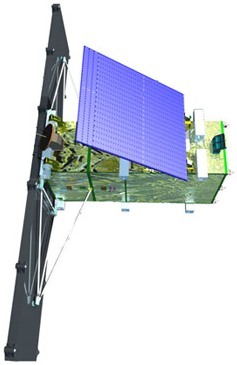 The whole body version would be roughly 750 kg (far less than the 10 ton or more weight of conventional MRIs), and meet the volume and mass limitations of the international standard payload rack (ISPR), which has been adopted by ISS participants in order to provide for a common set of interfaces for ISS equipment. The extremity version would be around 50 kg, and within the mass budget of the Canadian Space Agency (CSA) for ISS experiments. The compact MRI would be maintenance-free, translating to cost savings of $300,000 per year over a conventional MRI, and would have one tenth of initial cost of current large MRIs ($200K vs. $2M for whole body MRI). The extremity MRI would cost considerably less, at roughly $50K. Sarty and his team estimate that the number of compact MRIs could eventually end up outnumbering traditional MRIs by a factor of ten. According to Sarty, "a Canadian MRI on the space station would be an excellent compliment to other initiatives that the CSA is now taking to establish Canada as a world-leader in advanced crew medical systems for space exploration." Halback permanent magnet geometry. Image c/o Gordon Sarty University of Saskatchewan. A radio frequency (RF) image encoding system called the TRansmit Array Spatial Encoding (TRASE), which eliminates the need for noisy, heavy, and power-consuming magnetic gradient field coils. 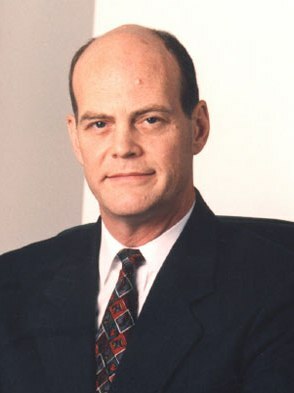 TRASE was developed at the National Research Council of Canada, Institute for Biodiagnostics (NRC-IBD) by co-inventors Jonathan Sharp and Scott King. A Halbach permanent magnet, which replaces the traditional, large, heavy, and dangerous superconducting magnets. 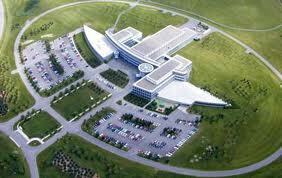 The Halbach magnet is a joint development of MRI-Tech, Canada Inc. and NRC-IBD. Miniaturization of RF electronics which eliminates the need for a separate rack of electronics. 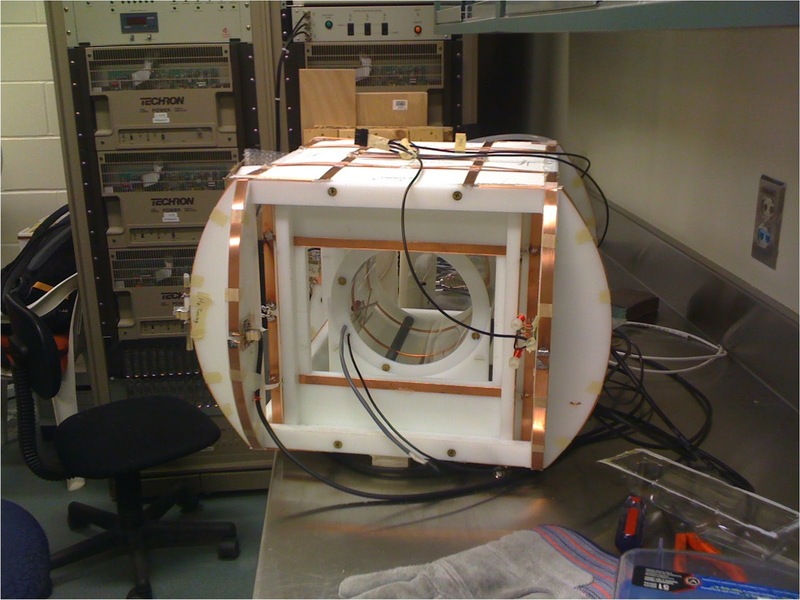 Earth and Space Applications: The compact MRI addresses a variety of healthcare problems on Earth, the major one being making MRI diagnostic technology available anywhere globally (e.g. 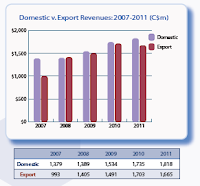 rural areas, remote areas, developing countries and war zones), and for variety of applications (e.g. military, ground ambulance, air ambulance, humanitarian relief, emergency room). Compact MRIs also serve as a safe and affordable alternative to X-ray CT for children, as well as a cheaper and more precise alternative to dual-energy x-ray absorptiometry (DXA) screening for osteoporosis. Space-based applications include studies of bone and muscle loss, monitoring renal stores and effects of radiation, and imaging changes in cardiovascular function. Also, a compact MRI can image body-wide fluid shifts and would be very useful in studying intracranial pressure (ICP), which in recent NASA studies (such as outlined in the February 9th, 2012 ISS press release on "Astronaut Visions Changes Offer Opportunity for More Research" and the NASA human research road map on the Risk of Spaceflight Induced Hytracranial Induced Hypertension/ Vision Alterations) have been associated with serious vision impairments in astronauts. The compact MRI project involves partners from the University of Saskatchewan, Loma Linda University, NRC IBD, MRI-Tech and COMDEV International. To date, TRASE and Halbach parts have been built and had separate preliminary verifications. The transmit array spatial encoding (TRASE) RF image encoding. Photo c/o Gordon Sarty University of Saskatchewan. The next step for Sarty and his team is to build a technology development model (TDM) followed by a complete prototype. Then comes the building of the pilot plant, FDA approval and finally full commercialization. These are estimated to take five years and will cost tens of millions of dollars, most of which still needs to be raised. Sarty and his team are currently attempting to raise an initial investment of $2M to begin the process.